Naturally, in being a liberal Democrat, I can think of dozens – if not hundreds – of reasons why Romney should not be president, and I’m sure Republicans feel the same way about Obama. However, there are two items about Romney which are key elements and shows the type of man that Mitt is – which is definitely NOT POTUS-material. There is nothing that Obama has done which can hold a candle to Romney’s deceptive nature. If you have been keeping up with the news on Romney, I’m sure you can guess at least one of the two. 2.Romney’s international banking accounts (Caymen Islands and Switzerland). Before I go any further with detailing out Romney, we should first look at what traits, morals and ethics should accompany the highest office in the United States. Of course, no one completely agrees with everything any President has done, prior or current, therefore I will be generalizing my points. Naturally just to name a few positive ethics, we have honesty, empathy, compassion, and open-mindedness. All are excellent traits to have regardless if you flip burgers at a fast food restaurant; fly a Blue Angel; or are President of the United States. These features are desirable to have and are respected by all. Additionally, we must not forget about transparency. Transparency of the Chief Executive is also critical in maintaining a trustworthy relationship with the majority of the citizens of the US. The President of the United States has always been an excellent role model, especially for our youth. How many children have said that when they grow up, they want to be President. And simply because they’re young, it is normal for most children to idolize the current President in office. I’ll get back to this point in a moment…. Then there is Mitt Romney…. 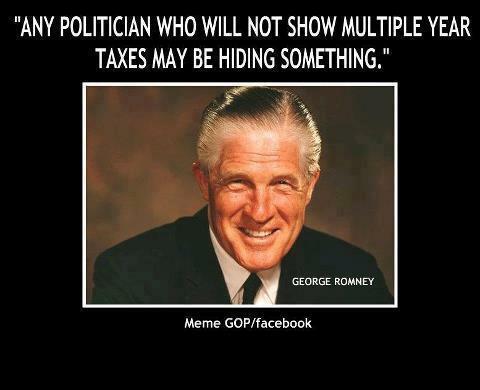 Romney has been asked to provide his tax returns for months now, and he is flat out refusing to do so. His staff did provide some lame excuse of a partial tax return, but definitely not the full paperwork. 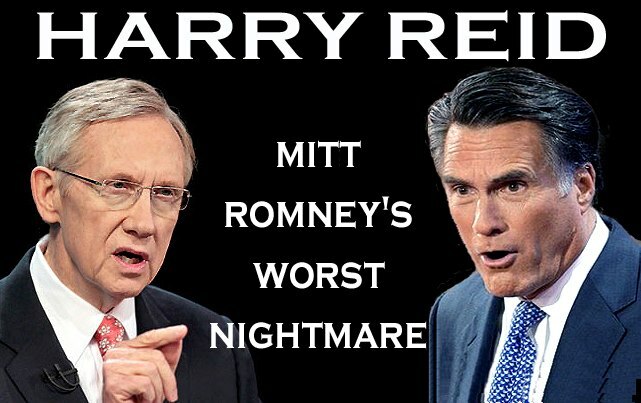 Senate Majority Leader Harry Reid (D-Nev.) claims that a former Bain Capital employee told Reid that Romney has not paid taxes in over ten years. Romney’s overseas accounts tie in to this as well. The primary purpose – hell, the only reason for stashing money away in the Caymen’s, in Switzerland, or a few other places which keep your accounts completely private, are so that you do not have to pay taxes on these large amounts of money. Tax free! Romney is a devious and very deceptive man. 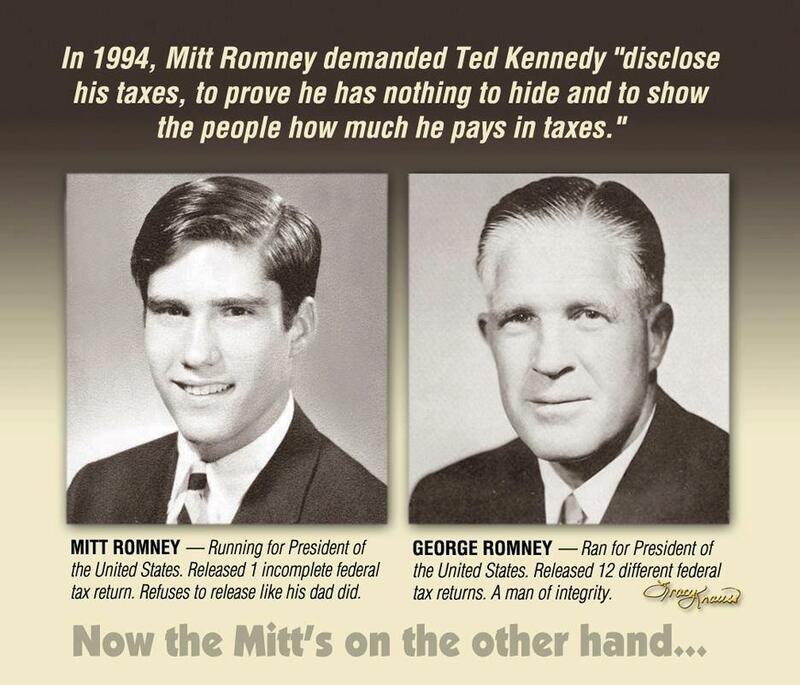 In 1994, Mitt demanded that Ted Kennedy needed to disclose his taxes to prove he has nothing to hide. 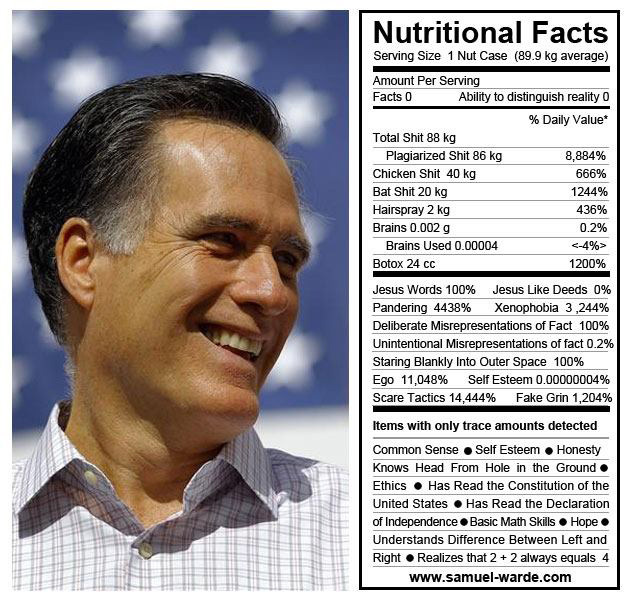 Romney completely believes that this doe not pertain to him – that he is exempt. Romney will do anything he wants in order to get what he wants. And that may very well be the entire middle class of this country. He cares naught about the citizens and his repetitive repertoire of canned responses, but no actual answers, is becoming horribly boring. Lastly, I am actually rather shocked that it is not a requirement for anyone running for President of the United States to disclose x-number of years of tax returns. Think about this… YOU have to show MORE tax documents when buying a house, or signing a car loan, than you do when running for President. Something just is not right with that. Please, I beg you… do not vote for Romney. This does not mean you have to vote for Obama – there are dozens more out there how are running for Executive Office. Gary Johnson, former governor of New Mexico, is running as a Libertarian. Hey, he is pro-marijuana, so for those who like a blunt now and then, he’s your man! There are too many to list. But you may CLICK HERE to view all the people running for President. There are parties listed such as the Reform Party USA, the Socialist Party USA, the Justice Party, the Green Party – which I have heard some very wonderful things about Dr Jill Stein (MA), and many more. Lastly, voting for any one of these off-shoot parties is NOT a waste of a vote. What is a waste is the deterioration of American lives, homes, jobs, and families is if you vote for Mitt Romney. You’re right. I’m refinancing my house right now and I had to show my last three years tax returns (personal and business–because I own a business), and I had to show a P&L and balance sheet for my business IN ADDITION to my tax returns. I also had to justify certain deposits that seemed pretty innocuous. This is for a house that I’ve lived in for 17 years and on which I have never missed or made a late payment. This is the first time I’ve refinanced since the 2008 financial meltdown and it seems like the only regulating banks are doing now is on the homeowner trying to keep his or her house. I’ve not kept up with the industry after I left mortgage banking about 10 yrs ago. But with the collapse and our economy, I know there has been a TON of changes. I am serious about this. Someone buying a home or car should not have to show mor forms than someone running for POTUS. Guess What…… Obama is getting a second term… The Chick fil-a crowd has been told over and over that “Mormons” are of the Occult …like Ouija boards..The thing I cant figure out…Is that when Jeanne Dixon was advising the Reagan Administration………………..
Mitt Romney’s behavior was unethical at a minimum, and very likely illegal, as I suspect he took advantage of that 2010 tax amnesty for previously unreported foreign accounts. Even worse is how Mittens feels perfectly entitled to behave however he wants, without repercussions or responsibility. The walking, talking embodiment of the worst of the 1%. Yes, he is. I have a thousand times more respect for a drunk living in an alley than I do Mittens. Excellent way of putting it – you and Obama have each other’s backs. Well said Michelle! Now if those on the fence hear you. I’ll help I’m sharing on FB and twitter. Thanks so much!!! He cannot be trusted because of these two things alone. Snake in the grass…. I know. I hate that smile on his face. He’s always smiling it’s eerie. Between his secrecy about his tax returns, all the records he carefully destroyed from when he was governor of Mass., his total disconnect with the middle class (what’s left of it), his etch-a-sketch positions on the issues, and his determination to never answer any question with anything more than pablum and platitudes, the man is nothing more to me than a wad of gum on the sole of my shoe. As a P.S., however, if Harry Reid doesn’t produce PROOF (documentation) of what he’s saying, he’s no better than the man he accuses. That is true. But if there are no tax returns, then there’s no proof to show other than disclosing who told him that from Bain Capital. And if so, I would think that person does NOT want to be revealed. Either way, no tax returns, and jacked-up tax returns are both in the same boat – scum. Oh, plenty more than that. All the other reasons pretty much branch off of these two.